Most recent shots of the car. seen it at a few local shows. clean setup. color is amazing. 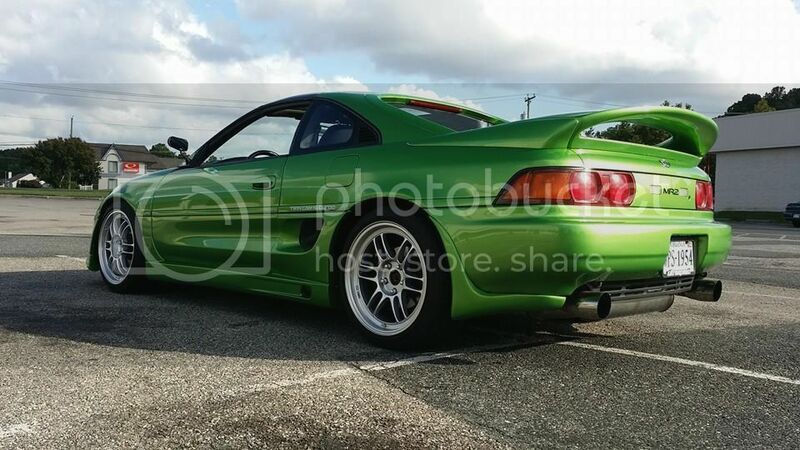 Cleanest MR2 I've ever seen. 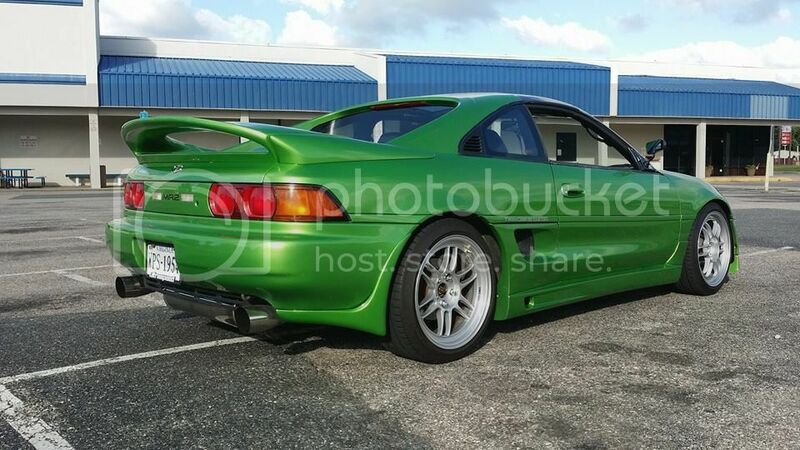 this is probably the first mr2 done nicely that is relatively local that ive seen. 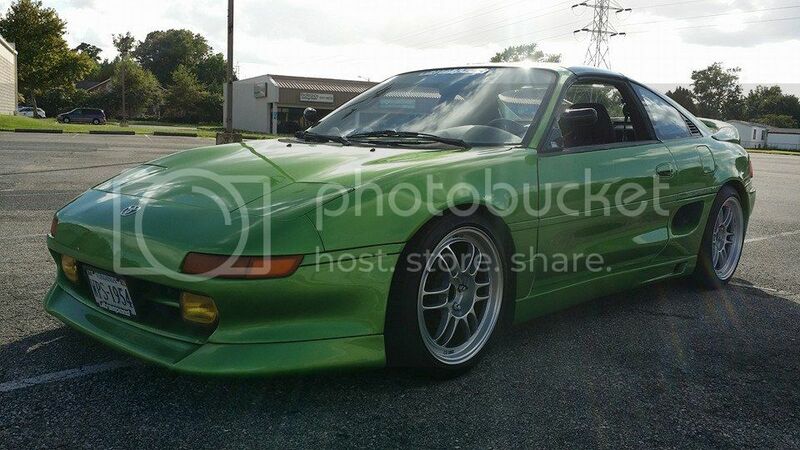 a guy in my old SCCA region has a SM prepped mr2 with a built motor that used to be in his all trac, but ive never seen a nice street car like this. pretty rare to see a turbo second gen 5 speed running around. I miss my MK2. Looks good man. I appreciate this car, seen it around nice! 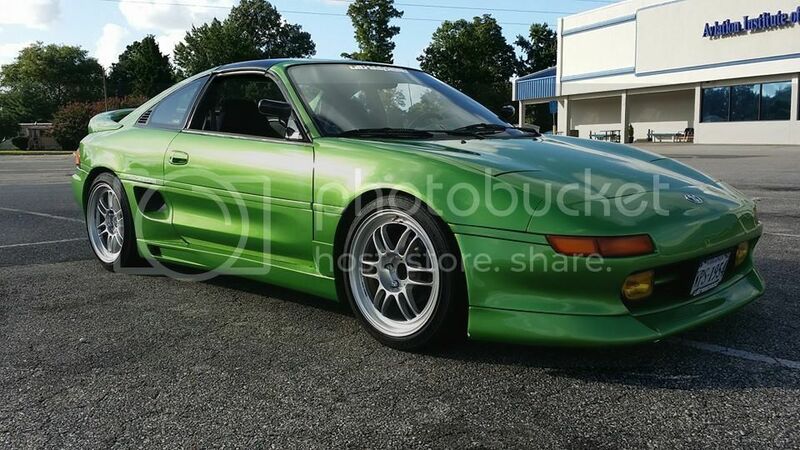 NEVER cared for an MR2 but your exhaust/wheels/paint combo really works for me! Good job man, it looks beautiful !